Separate fact from fiction with this hospice care information from Harmony Home Health & Hospice. 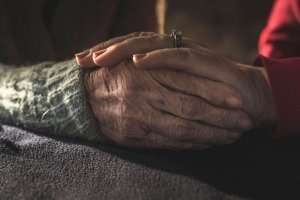 When someone you love enters into hospice care, it’s often an overwhelming and emotionally charged time for the family, raising a number of questions. What exactly does hospice care mean? Who provides care for your loved one throughout this time? Does your loved one need to be in the hospital instead? Below are some important facts about hospice care to help you better understand how the process works, compiled by the experts in hospice in Salt Lake City and the surrounding area at Harmony Home Health & Hospice. Hospice care is not so much about dying as it is about helping individuals experience the highest possible quality of life each day, with support and comfort provided to both the person on hospice care and his or her family members. The hospice care team includes nurses, chaplains, social workers, home health aides, and bereavement counselors. The person receiving hospice care will have visits as needed from the various members of his or her team, who are available 24 hours a day, 7 days a week for care and support as needed. Agreeing to accept hospice care does not mean that death is imminent, or that it’s time to give up hope. The sooner a person begins to receive hospice care, the more opportunity there is to address needs and improve quality of life. Some people’s health actually improves and they are then discharged from receiving hospice care. Research shows that most Americans do not want to die in the hospital; hospice care offers palliative care, which helps to manage pain and other symptoms, while allowing the majority of patients to remain at home if they choose. Hospice care is covered by Medicare, as well as by most private insurance providers, as long as the patient meets the required criteria. Hospice is not a location. Hospice care typically is provided in the comfort and familiarity of home, but is also available wherever the patient lives, including nursing homes, assisted living facilities, and residential care facilities. Along with hospice care, many family members often require some assistance with running errands, meal preparation, and supervision of their loved one when they need to tend to other needs. At Harmony Home Health & Hospice, we understand the ins and outs of hospice in Salt Lake City and the surrounding area, and that the need for hospice care is a difficult time for the whole family. We want you to know that we’re here to help with the support you need. Contact us today to learn more about our in-home hospice care services.